Open both cans of chickpeas. Drain the liquid. 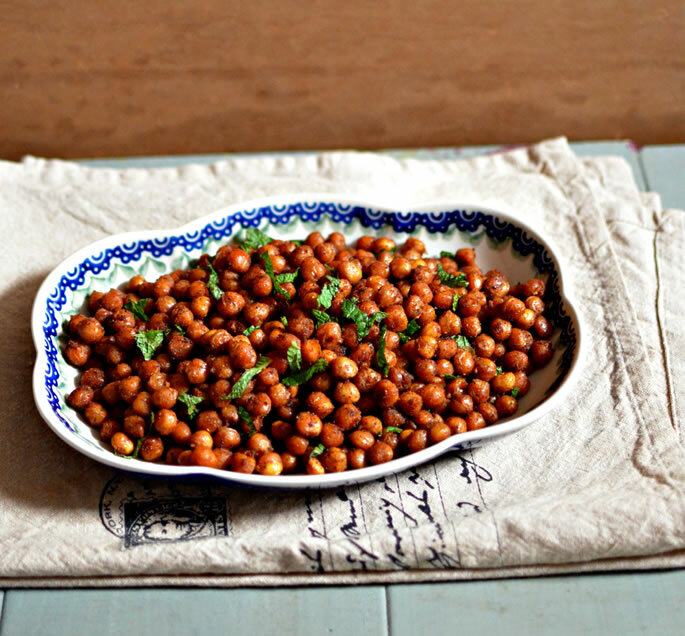 Rinse the chickpeas well with cold water, drain and pat dry. Toss the chickpeas with the spice mixture and the oil. Bake at 400°F for 15-20 minutes. Increase the temperature to 450°F and bake for an additional 10-15 minutes. Serve with the minced fresh mint leaves. You could also crumble in some feta cheese. Works well as a garnish for salads and soups. Sumac is a spice often used in Middle-Eastern cooking. Its flavor has lemony notes.